As you might have read here, I was feeling a bit of burnout from constantly being the family go-to person for type 1 diabetes. It happens. Typically one person tends to become the person for diabetes care. In my family it is me. Mostly because my wonderful dear husband spends most of his waking hours at the office, trying to earn a living to keep a roof over our heads and food on our plates - don't even get me started on the I- word. No, not I-Pads, I-Phone or I-Pods... but INSURANCE! Priorities, right?! Having two kids with type 1 diabetes may not seem like a big deal (and a lot of the times it isn't any different than one) but in terms of blood sugar pokes and infusion set changes, it is double the amount of everything and I was getting a little overwhelmed. I usually try to keep my feelings quiet around the girls. After all, who am I to complain when I am not the one with type 1 diabetes? It seems petty to complain about the lack of sleep or the never ending need to re-load Big Ugly. It is only fair that I be the one to download pump data and make basal or bolus rate changes, especially since I hold the keys to how two young girls are feeling. If I let their numbers creep, than only I am responsible for the resulting bad behavior because they aren't feeling good. 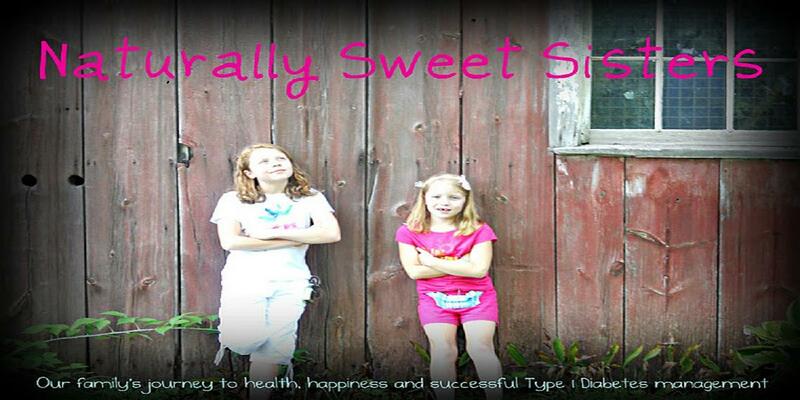 If they can't stop living with type 1 diabetes, than neither can I. After all, we are a family of 'all for one and one for all'! Regardless, my daughters are pretty sensitive kids. I am sure that they must have felt a few of my sighs or witnessed some of my tiredness. Together, they did something that was absolutely wonderful and amazing. After taking her shower on Sunday night, my oldest daughter picked up her insulin pump and took off her younger sister's insulin pump. Then, carefully both of their pump cartridges with insulin. Meanwhile, my youngest daughter wound, loaded and primed both of their pumps. While my youngest daughter was busy with the pumps, my oldest daughter placed two IV Prep Pads, IV3000s and two opened Inset 30's -just like I do on two clean paper towels - making sure everything was ready to go. At this point, I am in the kitchen finishing up the dinner dishes and both girls come running up to me to tell me that they were ready for their infusion set changes. They grab my hand and giggling lead me to our special injection spot (are we the only ones who have this?) and shout "ta-da". There I see everything perfectly laying out, ready for service. All they need me to do is inject the Inset 30's. My oldest daughter was so proud of herself for being such a big kid and for accomplishing the site change prep on her own. My youngest daughter, who often is our baby of the house, was beaming from ear to ear because she felt so important and so smart for remembering how to load the insulin pumps. Over the past five years, I have been careful to avoid having them take this step on. In my mind, having them start on this task too quickly could ended up in their own feelings of burnout and stress. Suddenly, I realize that perhaps part of this new phase is allowing them to have a little more control in their own care. The pride that they were feeling is much akin to any new task... riding a bike, brushing teeth, tying shoelaces, using the stove or aack, one day, driving the car. And I couldn't have been prouder. Tears burning in the back of my eyes, I swooped in to give them both giant bear hugs. I realize the amount of work and effort that they (these 8 and 10 -year old children) had to put forth to get their pumps ready and I was absolutely blown away. 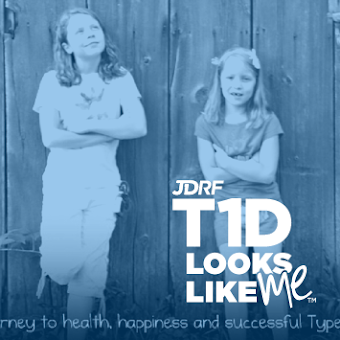 While most kids at that age aren't thinking about medical equipment, sterility or proper technique, my girls are showing that they can rise to the challenge, utilize the knowledge well beyond their years and embrace their type 1 diabetes. Instantly it occurs to me that they are going to be O.K. While it may feel like I am endlessly filling and refilling, checking and re-checking, ordering and re-ordering, preparing and unpreparing, I am not. And providing the knowledge to use the tools that they will be carrying until there is better technology or a cure. For the first time in a long time, I can relax a little because I know that my oldest daughter and youngest daughter can do this. And I know that we can do this TOGETHER. Epilogue: Now, please don't assume that I am going to turn this task entirely over to my daughters. It is still something that I plan to do more often than not. 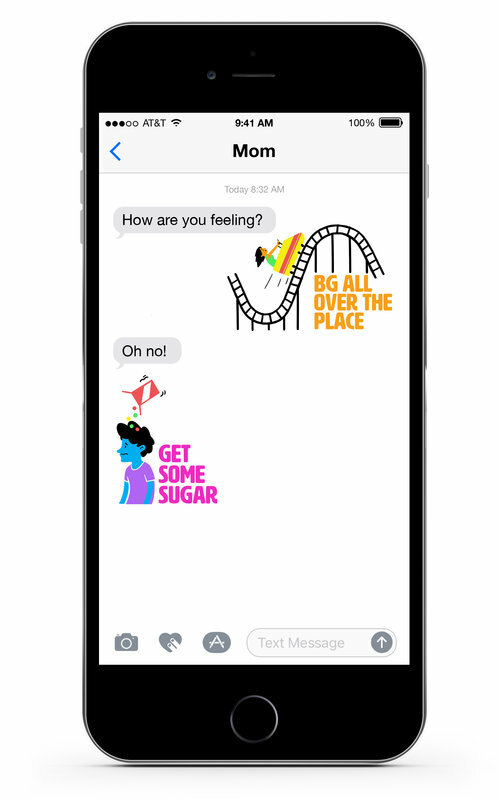 I am still fearful of their potential for burnout and plan to remain vigilant that they continue to have positive feelings (not dread or anxiety or worse, avoidance) for type 1 diabetes. It just feels nice to know that they are learning and wanting to try new tasks.